Prince Harry has reunited with his No. 1 fan, 98-year-old Daphne Dunne. Harry and his wife, Meghan Markle, embarked on a 16-day tour. 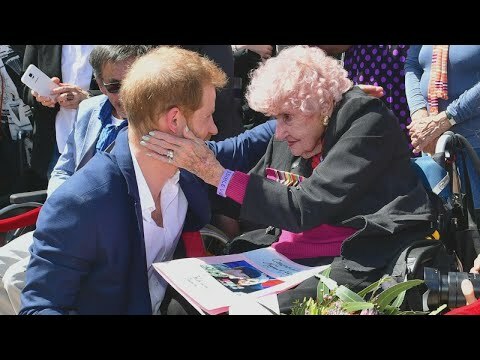 As the couple, who recently announced they are expecting their first child, greeted fans outside the Sydney Opera House, Harry spotted Dunne in the crowd and gave her a hug, then pulled Meghan over to meet her. The prince first met the war widow in 2015. On Tuesday, Dunne, who was wearing her husband’s medals, made sure to offer her well wishes to Meghan.